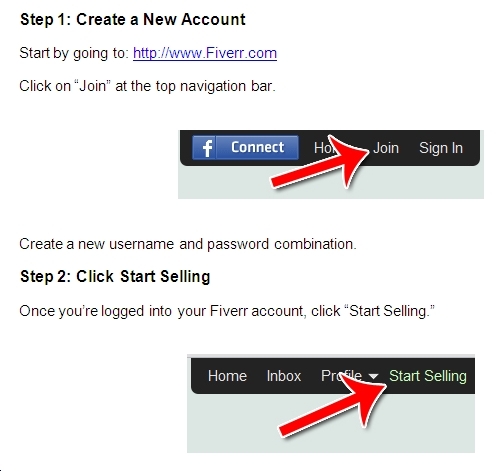 Learn how to make money with Fiverr gigs by selling your services or products for $5 per gig. Fiverr is one of the most unique websites for making money online. Everything on this site sells for a “fiver” - $5 dollars. This allows buyers to browse the site and pick out gigs with almost a snap decision kind of mindset. Instead of carefully considering whether or not they want to buy something, since it’s just $5 they’ll often just buy it and see how it goes. Website owners are busy people who can use your help creating website content or doing marketing tasks to drive traffic to their blogs. 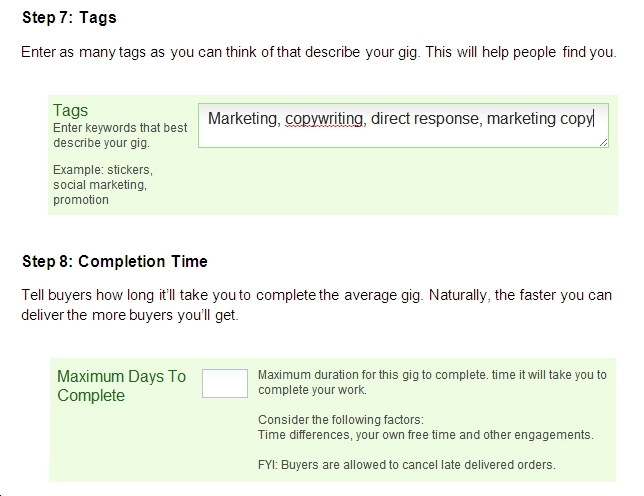 You can create gigs to offer your services in a wide range of tasks. Some of these will be suggested for you below. Fiverr allows you to post your gigs in the typical text-based manner, as well as in video form, so you can be as creative and visual as you want in marketing your gig service to your readers. Fiverr has huge opportunity for performing social media tasks, link building, making blog comments and more. Browse through and find the most popular services and offer your own. You can also link to an external portfolio. 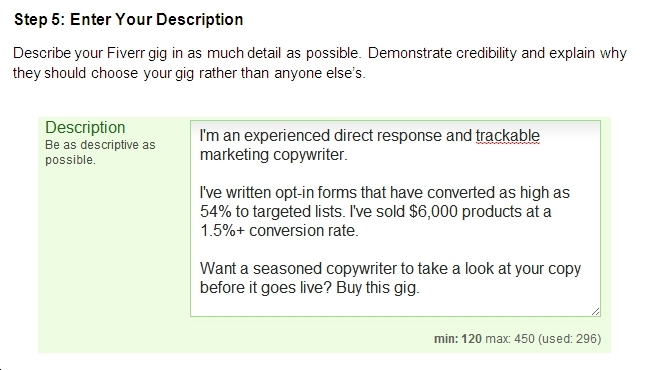 Fiverr Gigs - What Kind of Jobs Are Posted? Video: There are people doing all kinds of different video gigs on Fiverr. For example, one provider offers to create a 30 second video intro for $5. Another provider offers to animate a logo for $5. Graphic Design: Logo designs go for $5. Banner designs are the same price. Want someone to draw out a concept for you? $5. Want someone to turn a picture into a hand pencil drawing? Same price - $5. Lessons: Want someone to practice your Spanish with? A 30 minute lesson costs just $5. Voice Acting: Need someone with a great voice to read out your script for you? This also costs $5; though the length is usually limited. For example, you might only get 1 or 2 minutes for $5. To go longer, you need to buy multiple gigs. Marketing: Want to build 1,000 backlinks? That’s $5. Want to get 3,000 Facebook likes? That also costs $5. Want a single medium PageRank backlink on a .edu domain? Also $5. Literally any service you can think of that can be offered at scale online can be sold for $5 on Fiverr. Fiverr pays you by PayPal. You receive $4 for every $5 gig that you sell. PayPal takes a 2% fee out of your total transaction value, so a $4 withdrawal will cost you $0.08 cents. In other words, for every gig you do, you’ll take home $3.92. Fiverr has a feedback system that allows users to give you a thumbs up or thumbs down, as well as leave a short paragraph of feedback for you. 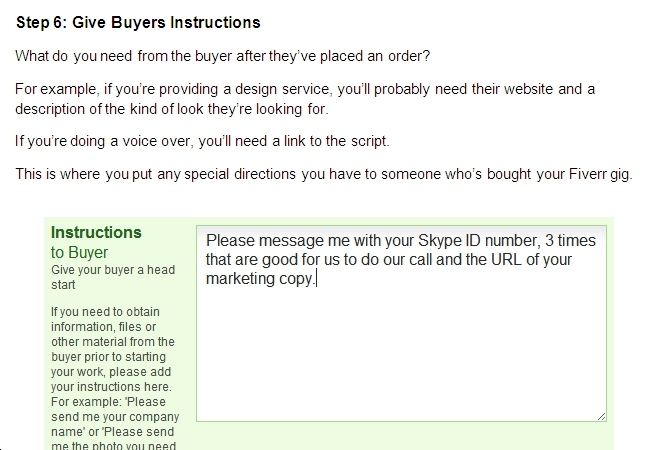 Here’s how to get started as a seller on Fiverr. 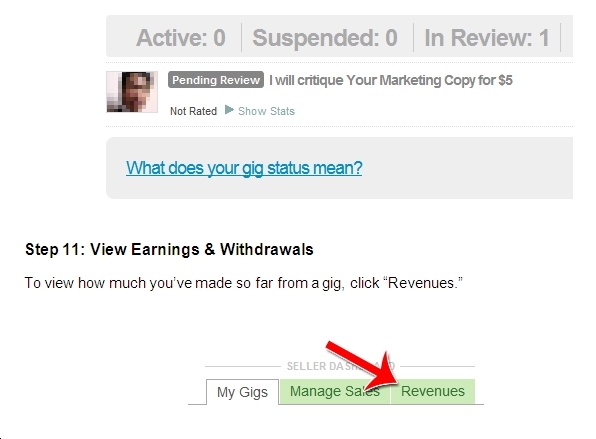 Making money on Fiverr isn’t difficult, considering how everything is $5. Your biggest challenge will be standing out from the crowd. If you’re doing a gig on consulting for example, make sure you tell them why you’re qualified to give advice. If you don’t tell them what sets you apart, you’ll just blend in. 2) Consider doing a video. Videos take a lot more time and effort to make, but can help you really differentiate yourself from everyone else. Put as many samples as you can in that portfolio. Your samples will speak louder than your words. 4) Always deliver on time. If you say you can complete your gigs within 3 days, never go over 3 days. 5) Register from either the USA or the UK. Since address isn’t checked, you can simply register for a USA account by using a USA proxy. This helps add credibility. 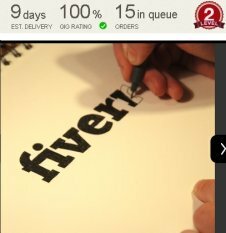 That’s how to sign up for and make money with Fiverr! Don't be afraid to ask for recommendations and testimonials. Many people will not think about it otherwise. When they complete the transaction at Fiverr the customer is provided with a Thumbs up or Thumbs down button, and a specific space where they can provide their comments and testimonials. They may have loved your product and service very much but it might never occur to them to give you a testimonial if you don't ask. The worse thing they can do is say no, or ignore your request. But, most of the time they'll give you a nice "Thumbs Up" Rating as a recommendation or testimonial you can be proud to share. It's a good idea to make it a habit to ask for a testimonial and a recommendation at the end of every sale as well. For instance, if you've created an information product and you want testimonials for that, send your buyers a request for their comments or review of the product. - Are you happy with your purchase? - Did your transaction go smoothly? - Did you receive the results you desired from your purchase? It is also a good idea to include a little enticement along with your request. You could offer a a free gift as a bonus. You could package some PLR articles in the Gig niche subject, into a nicely presented .pdf report for instance. Simply say that as a thank you for them leaving a positive review or comment about your service or product you would like to offer them a free copy of xyz report (or an ebook that you have bought the rights to give/sell to others). Then when you see that they have posted the Thumbs up rating on your gig sales page (and hopefully a nice review comment as well) then you email them the file with their gift in reply. There are many good training guides for sale to show you how to set up your business selling Fiverr gigs, and I'll feature some of them below here as and when I get the published and packaged for you. 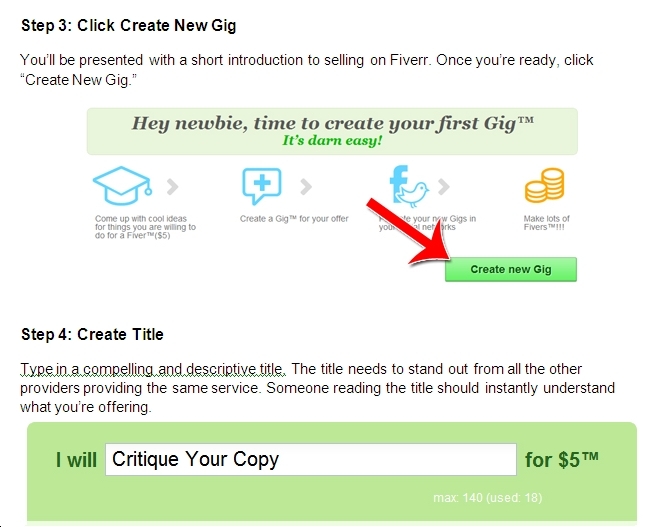 In the meantime, this online guide shows you how to make money with Fiverr gigs that are simple to do. Continue your research and practice the tips on here, and you will soon be on your way to earning a good income from your Fiverr gigs. 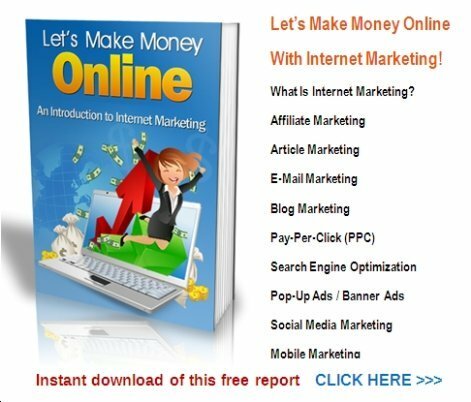 If you prefer video training to learn subjects like how to open your social networking accounts, or to post videos on YouTube to promote your gigs you may get what you need from this huge set of Internet marketing training videos. Below here I'm featuring more pages with helpful how-to-do-it tips on how to make money with Fiverr gigs. 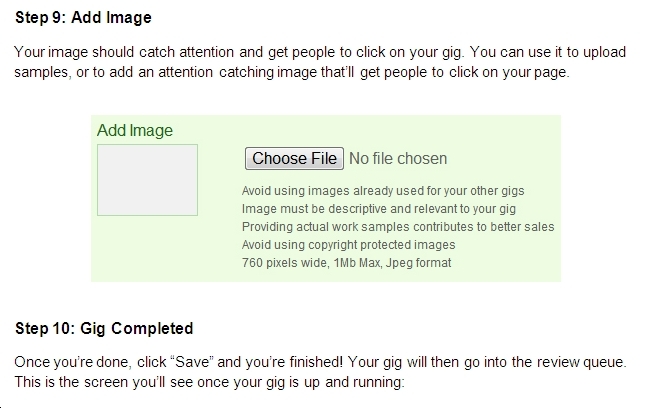 Back to HOME PAGE of this How to make money with Fiverr Gigs section of the site.